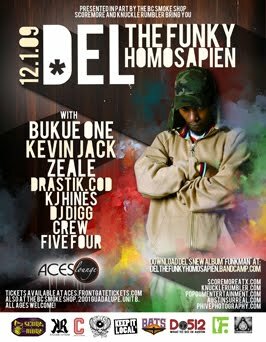 From the as promised department... Knuckle Rumbler is giving away a pair of Skullcandy headphones to the first person to email me their Del tha Funkee Homosapien show receipt minus any confidential information by 5pm Tuesday, Dec 1st! Dude that is awesome! Check out the show and sport some new headphones!